Discussion in 'Audio Hardware' started by Johan Bos, Feb 9, 2019. There is no "perfect" anti-skate (AS) system because the weak link of any AS system is always the cantilever. The AS is designed for the tonearm but the pressure is on cantilever and suspension (the only moving part of the AS system). If the AS is disabled, in time the front of the cantilever will deviate to the right side of the cartridge (front to back view) and stylus will lose the optimal surface contact with the groove walls. In the MM cartridge the magnet will change its position towards coils and sound will be different. The TT manufacturer recommendation for the AS value is only informative. 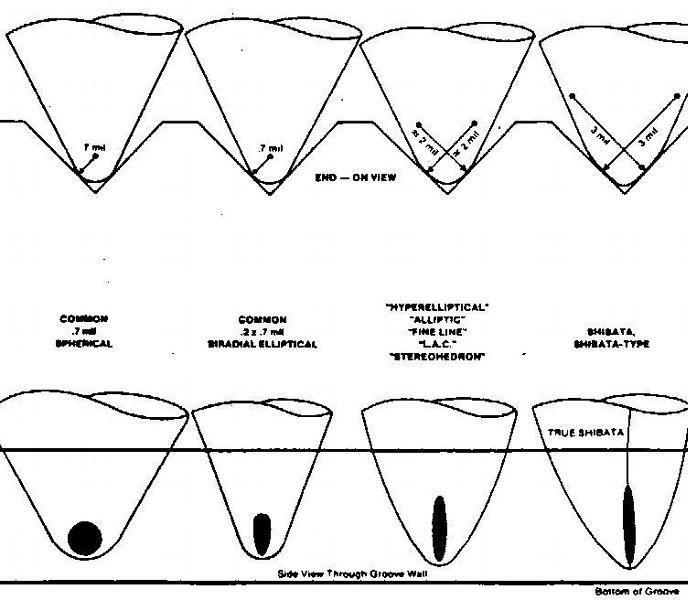 The optimal AS depends on each particular cantilever/cartridge used. The sweet spot of AS is a trial-and-error process. That too, but what I was referring to was that the skating forces changes across the record. And music isnt 1 loud and constant frequency. The modulation changes, and that too changes the skating forces. Youre never perfect across the board with this no matter what you set it at, that setting does not exist. Maybe the record might benefit from an RCM clean? The AT 100E is not prone to sibilance. A micro line may improve matters but if this is the only record it is the recording or some contamination. Man On The Rocks anyway is the one Oldfield title I am not tempted to listen to again!! The modulation changes, and that too changes the skating forces. This is why the experienced cartridge manufacturers (Soundsmith) recommend to set the AS on the dead wax at the end of the record but out of the final grooves. A clean dead wax with no signature or other data. They say when the tonearm moves there very slightly to the spindle but slower than in the final grooves, the AS is well set. The general rule "set your anti-skate to the same number/weight as your VTF" sounds for me like woo-doo science. I have no such accurate AS system on my TT. The AS become active only starting from 2-2.5. My VTF is 1.75. The general rule "set your anti-skate to the same number/weight as your VTF" sounds for me like woo-doo science. I think the Anti Skate matching the VTF thing is mostly to do with some tables that come with carts. Like the Rega Tables and AT ones. They specifically make the anti skate to work with that cart and match the VTF and Anti Skate numbers. This changes when you switch carts tho. I found that my Origianl Rega Carbon seemed to move slowly on on 2.0 like th VTF. My later Nag 110 did the same slow inward movement on around 0.9 though, and now my MP 200 is again closer to 1.7 for some reason. I had a couple of 100E styli. It's a very good budget stylus but can't match the microline. I don't know the album OP is talking about and I don't think he mentioned whether it was a new or used copy, or what pressing it was. That might make a difference. For used records, there is always the possibility of baked in sibilance due to playback on sub-par equipment. Shaved off inner grooves are pretty common on used records. In that case, the solution is to find a better copy of the record. Nobody would recommend to set anti-skate on an area without program material, or at the extremes of the disk radius. Antiskate compensates for the angular friction, which increases and must be balanced for when there is music. The numbers on the antiskate dial is not voodoo, the number scale is specifically designed to reflect the tracking weight. It is not a measurement in newton-meters or foot-pounds, it is the manufacturer's number for the tracking weight used, which reflects the average skating force needed, from empirical testing and calibration. It doesn't have anything to do with an included cartridge. You can install a different weight cartridge with similar compliance and stylus tip, and adjust the weight to compensate, and you will find the same anti-skate setting. The friction force does change with the type of stylus though, so you may adjust the number +10% for elliptical or -10% for spherical, assuming the manufacturer's numbers are the average of many cartridges. After many exotic attempts the find the sweet spot of the AS, I end up to stick to the default. AS = VTF. As far as I understood the shape of the stylus doesnt change the tip radius very much. What does change is the shape of the contact area, as depicted in the second series of pictures above. While most experiments and basic kinetic friction formula would tell you that the amount of friction only depends on the weight (not the contact area), since vinyl is malleable and deforms, the coefficient of friction changes depending on the pressure, and so the stylus shape does affect the generated friction, and therefore the skating force, as determined experimentally in the graph in my previous post. While @Johan-Bos hasn't returned to the forum since asking the siblance question to tell us what type of turntable he has and the results of tweaking with the antiskate or tracking force settings, ultimately, some records will simply play better with a finer stylus that can physically resolve the details. Hi, thanks for all your replies, I have a PL12D turntable, and the record is new. What is the record and what aspect of it is overly sibilant for you? Is it at the inner groove or the whole record? You lost me with that. Did you agree that the tip contact are doesnt change very much even if the profile shape does? I have to listen again to check what aspect is overly sibilant for me. If I recall correctly it is the whole (two) records, not particularly the inner grooves. Love Nuclear. Havnt heard the rest though, I probably will try this album for myself. Got some deadwax inscriptions for us? Discogs doesn't say where it was pressed or who mastered it. There is a chance it's the record. Did you listen to latest digital version yet to compare? 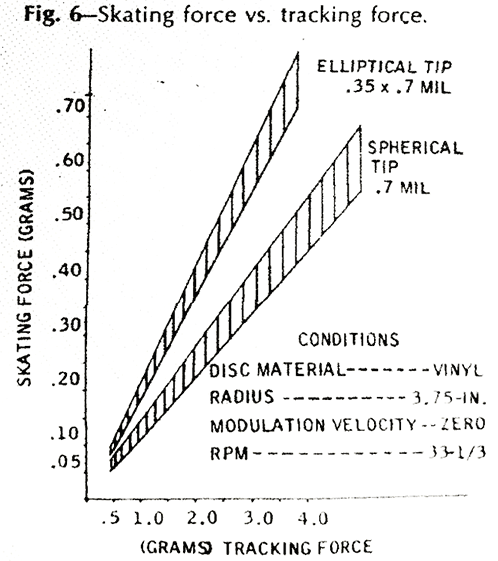 Re: your turntable, do you have the effective mass number for the tonearm? I looked at the manual and didn't see anything. It's also possible you have a cart/arm mismatch there in terms of compliance. This is my sibilance torture track. This digital version is pretty trouble free. Good luck with the vinyl. Better have a very good advanced stylus with that one! There are quite many examples around. This one can be a difficult one, but I don't know if there are different pressings around that sound worse. Check a digital version to see if its naturally sibilant. If your stylus is not some exotic profile like micro line you should expect some sibilance sometimes. If youre good on both above then its probably just a badly produced record or your stylus is worn which is unlikely if its under 500 hours old. I’m betting it’s the first. Oldfield sings with a natural sibilance. Lots of singers do (for another example listen to Gary Wright’s “Dreamweaver”). There’s only so much an engineer can do in the studio to eliminate it. I think you can very well eliminate it. The importance is to get to it and recognize the problem at least in the mixing stage or best would be all the way back in the studio. Good recording engineers will know how to avoid it. What do you guys think? Sounds pretty edgy to me! tin ears and Socalguy like this. Sorry, I disagree. While a good engineer can - and typically does - take steps to minimize excessive sibilance (typically well before recording begins), quite a few vocalists - especially those without formal training - sing with an inherent sibilance that can’t be eliminated without fundamentally changing the natural quality and distinctiveness of their voice. A good engineer knows this. Why would you not be able to eliminate it during mixing and mastering then? Quite edgy indeed. In a conical that probably sounds god awful. Maybe I wasn’t clear. It’s not that it can’t be eliminated, it’s just that with some vocalists eliminating all sibilance can have the effect of also unnaturally altering certain distinctive harmonic qualities of their voice, and therefore may not be the best option.